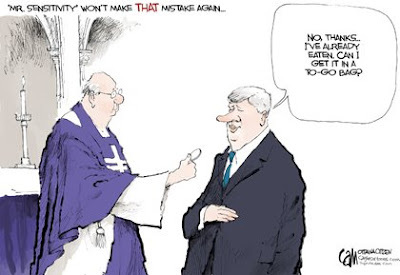 At least one editorial cartoonist was still having fun with "wafergate" this week as the furore over the Canadian Prime Minister allegedly pocketing a communion wafer died down. 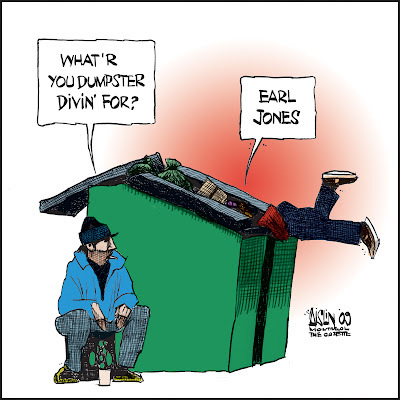 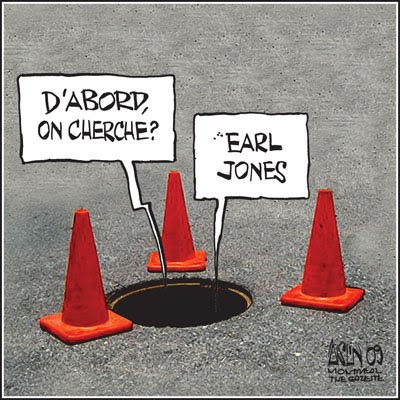 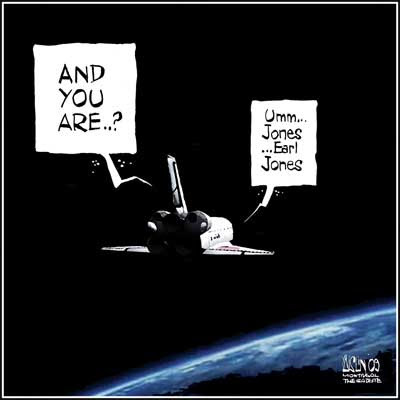 Meanwhile, Aislin in the Montreal Gazette was wondering along with a lot of other Canadians where Canada's answer to Madoff, Earl Jones, had run off to. 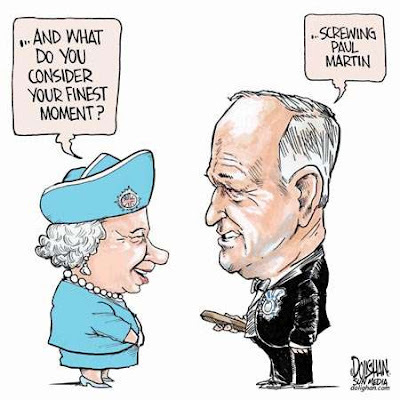 CAM in the Ottawa Citizen found the lighter side to the story of Canada's privacy watchdog expressing concerns over how Facebook uses personal information. 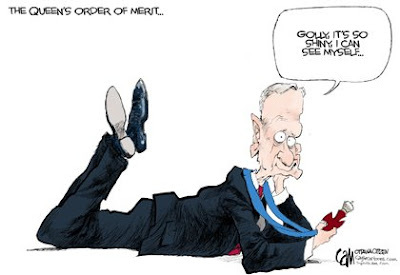 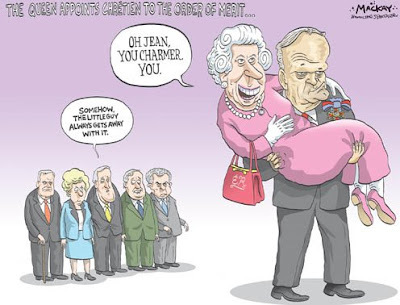 And several Canadian editorial cartoonists were happy to have former Prime Minister Jean Chretien to kick around again as he received his order of Merit from the Queen.